Larger projects like product catalogs and price lists are an important part of many businesses sales efforts. They usually take more skill to produce and relay essential information companies need their clients to have. 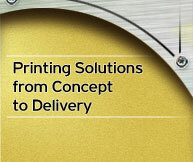 This is one of our specialties at Print NW. Whether you have an existing catalog or if you’re starting from scratch, we can take care of it from start to finish and give you a product you’ll be proud to show your own clients. Copyright © 2007, Print Northwest & its licensors. All rights reserved. Design by Gearbox Studios.